The issue of peace talks has been ambiguous. Much was said about the relations among key players in peace process like Pakistan, Saudi Arabia and the US and the Taliban’s approach toward the negotiation of peace, which was suspended and resumed several times. In case of coming to fruition, peace talks will be a pyric victory for Afghanistan. Meanwhile, the Trump administration is seeking a peace agreement, not a deal on withdrawing troops from Afghanistan. The US special envoy for Afghanistan reconciliation Zalmay Khalilzad said a future presence of American troops in the war-torn country would be conditions-based and ruled out an abrupt withdrawal of troops. “My overall goal is, at the direction of the president and the secretary of state, not to seek out a withdrawal agreement, but a peace agreement. Because a peace agreement can allow withdrawal. It is not just the withdrawal agreement that we are seeking,” Khalilzad said in his address to the US Institute of Peace the other day. Afghanistan today was different than what it was 19 years ago, Khalilzad said, believing it would take time for the Taliban to appreciate that. “But the message that they have given me is that they understand that they cannot go back. We don’t trust the words of any of the protagonists, as such anywhere, but we will do what we can to facilitate it. We would be helpful and be watchful,” said the diplomat. 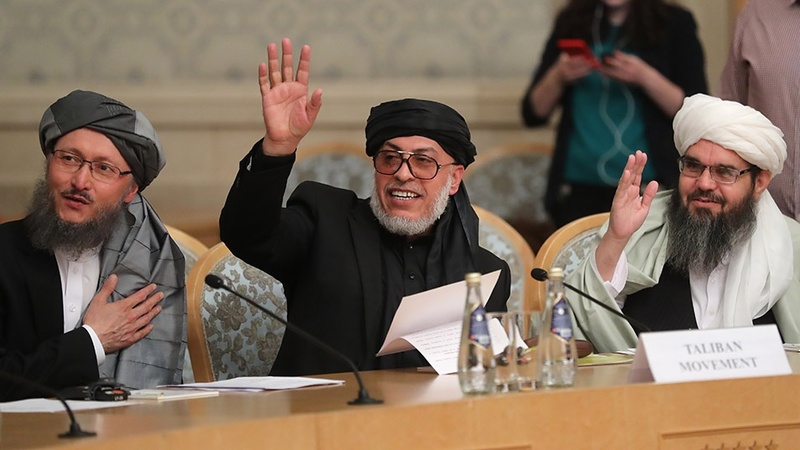 “We would prefer to see a peace agreement before July to bring the Taliban also into the process so that the peace agreement would facilitate a peaceful election or a framework for proceeding with regard to the future of Afghanistan,” he added. Since the peace efforts intensified by the US and other regional countries, Taliban too intensified their insurgency campaign against the Afghan people and the security forces. They have carried out many suicide attacks on populated areas and civil institutions to show people that government was not able to control their militancy. Many believes that Taliban is not an independent armed group capable of negotiating with the Afghan state and even they don’t have the will for a peaceful Afghanistan. They are supported by different regional countries, including Pakistan and now that of Russia and the two countries using the group as their proxy against US and the Afghan government. If Pakistan, Russia and other countries willing to establish peace in Afghanistan, they need to play their role in terms of peace process with bona fide intention. It is self-explanatory that peace negotiation was as fruitless as war on terror. Persisting on peace without practical step and continued military support toinsurgentswill be doomed to failure and would further deteriorate the security situation in the region, in particular in South and Central Asia. Meanwhile it is upon to Afghan people to remain united and take leadership of all peace-building meetings and not allow any third country to invite the Taliban and other politicians for peace talks. It is obvious that Afghans have never and would be never interested in presence of foreign troops in their country,but since the terrorists threatening the whole region and the world, it is mandatoryfor all superpowers and those of the regional countries to join hand and intensify their efforts for curbing the roots of terrorism and extremism. Otherwise the threats will grow and no one would live in peace.